Release the singer in you, ‘cause tomorrow, May 6, we’ll have a karaoke pub night at the Metropole! There will be happy hour from untill 10 p.m. as well as great deals on other drinks and shots! They offer food too! Besides karaoke, you can play a game of pingpong. Let’s meet up there at 8 p.m.! 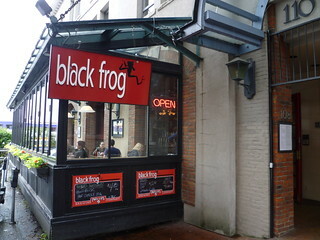 The address is 320 Abbott Street, between West Hastings and West Cordova in Gastown. Hi everyone! 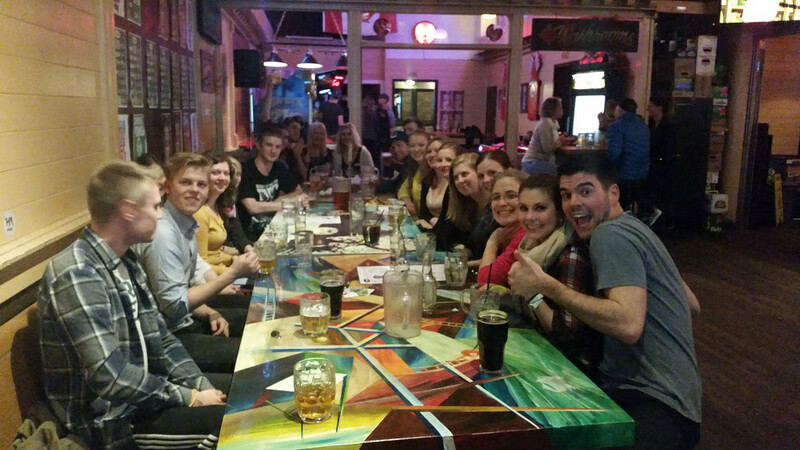 New week, new opportunities and a new pub night! This Thursday at 7 pm. we are going to one of our favourites – The Blarney Stone! For those who haven’t been there, this Irish Pub has been voted the Best Irish Pub in Vancouver for multiple years. It is a lovely place that offers food and drinks at reasonable prices. On Thursdays you can get any pizza for $7 and martinis for $6. Go ahead and take a look at their menu for other temptations! 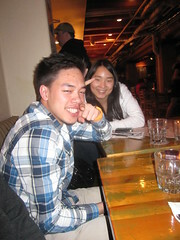 The Blarney Stone have been going strong since 1972, making it the longest running Irish Pub in the City of Vancouver. On Thursday they have live music playing for those of you who want to stay late. The pub is located in the heart of Gastown, on 216 Carrall Street, a ten minutes walk from Stadium-Chinatown and Waterfront Station. 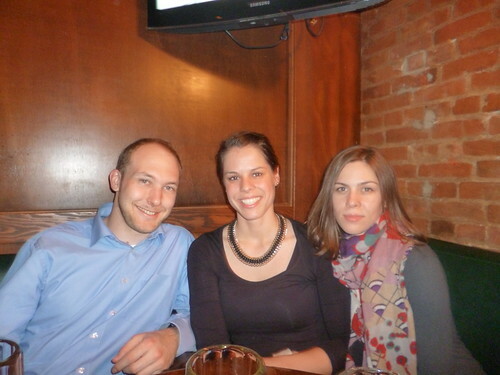 This will be my (Julie) last pub night, so I am hoping that as many of you will show up! Remember to sign up on our Facebook event and see you there! 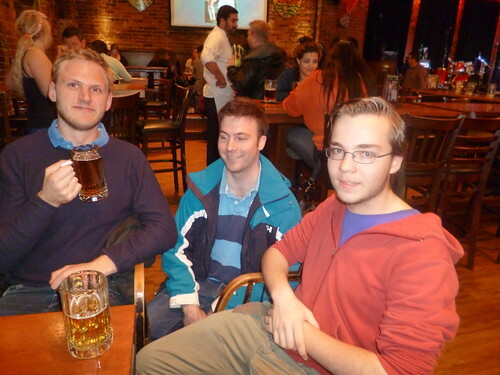 Last night we had our weekly night in the pub. This time we went to a pub named Blarney Stone. 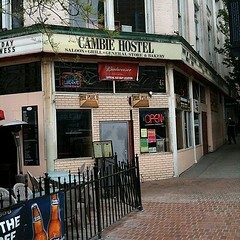 It’s location 216 Carrall Street and is also longest running Irish Pub in Vancouver. As soon as you step inside, you’ll be welcomed by a cozy and relaxing atmosphere. The place and the service were really nice, and the drinks were not pricey ($4 Pints and Highballs) Not a bad deal, right? We began our night around 7.00pm. They reserved a special place in the pub for us, we had our own corner with tables which was pretty awesome. This was a fun night and we were a lot of people and also we met some new ones, which was really nice. We talked a lot about the amazing Rockies trip next weekend. We were all so excited that we couldn’t stop talking about it. We discussed what to pack and what to bring. If you still want to join us, please make sure you pay before the 11th of April till 3:00pm. If you want to see the pictures from yesterday night, please click here. It’s time for our weekly PuB NiGHT at the Malone’s. The Malone’s offers one of the finest craft beers from home and abroad on 32 taps, also you have the opportunity there to play a round of pool. If you planning to have you dinner or hangover food there, they have really good burger and fries and much more. Malone’s prides itself on having the best best games in town. Hockey, rugby, soccer – you name it and they will play it. 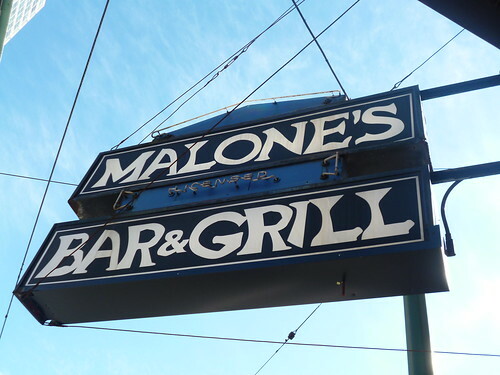 The Malone’s is located on 608 West Pender (on the corner West Pender and Seymour Street). We will meet at 7:00pm at the Malone’s. Please be award that this pub is 19+ and you need to show two pieces of ID. Click here to join the event on Facebook. I can’t believe my internship here at INTERNeX has come to an end! Wednesday is really an odd day to end, isn’t it? To be honest with you, I was a complete nervous wreck when I first started way back in January. Everything was so overwhelming and every single task terrified me. As soon as I heard that I might be the only PR intern working, I was seriously worried…had I made the right choice? But of course, the answer was yes. I don’t think I’ll ever regret this…especially because I was able to meet so many wonderful people. To everyone (including those who have already left Vancouver), although it might have been a short time, I had so much fun and thanks for being AWESOME. I’ll always remember our hilarious pub nights, trips on the weekends, the beautiful and fun Rockies trip, and of course that amazing pub and club night last Friday. I want to let you all know that you have impacted my life in so many ways. To all the staff in the office, thank you for being so encouraging and supportive. It’s actually weird that I have to leave…I was just getting so comfortable here! What’s next for me, you ask? Well, it’s back to being a student for the moment. Yep, that means textbooks and exams (no more pub nights for me on weekdays…no tequila shots). And after that, who knows! But I’ll still be around in Vancouver so we can hangout! I want to leave with a quote (you might have read it on my desk frame), “Don’t cry because it’s over. Smile because it happened” -Dr. Seuss. What an incredible, amazing, lovely, humbling, fun, and most of all, learning, experience. I’ll miss everyone and not being the one in charge haha but hey, it’s my turn to sit back. note* I think out of all my blog posts, this was the hardest to write. I just didn’t know where to begin.